Only three men advanced to the second round on a rain-interrupted Tuesday in Stuttgart, but that didn’t stop an upset from occuring at the MercedesCup. Denis Istomin snapped a seven-match losing streak at all levels to notch his first win at the event, defeating two-time runner-up Philipp Kohlschreiber 7-6(2), 7-6(3). The World No. 100 won 77 per cent of service points en route to victory after one hour and 41 minutes in a match that featured no breaks of serve. The 31-year-old improves to 4-2 in his FedEx ATP Head2Head record against the German, who was bidding to record his 16th victory in 30 tour-level matches this season. Istomin will face another German in the second round after Florian Mayer’s victory over countryman Yannick Maden on Monday. Banque Eric Sturdza Geneva Open champion Marton Fucsovics also advanced in straight sets, beating American qualifier Denis Kudla 6-3, 6-4. Fucsovics, who broke into the Top 50 of the ATP Rankings for the first time last month, dropped just two points behind his first serve throughout the 68-minute contest and saved all five break points he faced. The Hungarian will meet No. 7 seed Milos Raonic or Diema Xtra Sofia Open champion Mirza Basic in the second round. Gilles Simon dropped just three games to cruise past Italy’s Matteo Viola 6-0, 6-3. The Frenchman converted six of eight break point opportunities to reach the second round after 70 minutes. As a result of the poor weather in Stuttgart, Wednesday’s order of play will provide fans with high-profile entertainment from the first ball to the last. 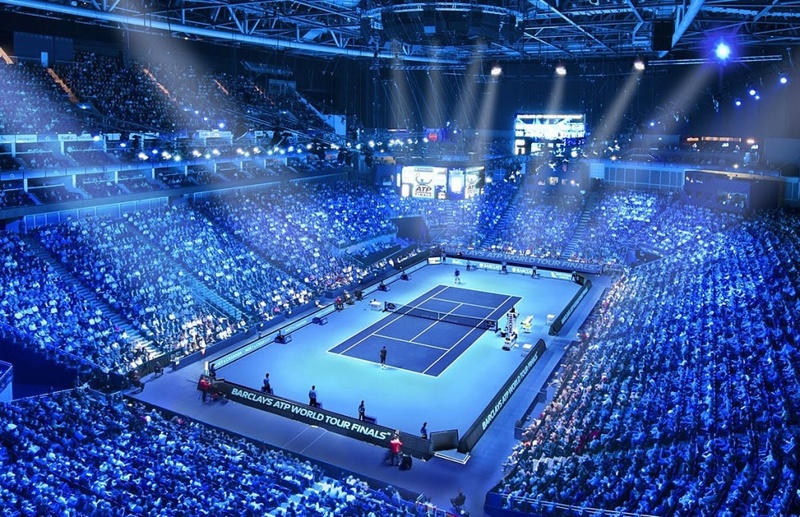 Top seed Roger Federer makes his long-awaited return to the ATP World Tour, while defending champion Lucas Pouille, #NextGenATP Canadian Denis Shapovalov, 2016 Wimbledon finalist Milos Raonic and 2017 Fever-Tree Championships winner Feliciano Lopez are also in action. Philipp Kohlschreiber falls to 16-12 at the MercedesCup after his loss to Denis Istomin on Tuesday. The German was making his 13th appearance at the tournament, where he has reached the championship match on two occasions. Kohlschreiber led both finals he played, before falling in three sets to Fabio Fognini in 2013 and Dominic Thiem in 2016. Daniil Medvedev thought the life of a tennis player was simple. You played, you either won or lost, and then, during practice on court, you worked on what you needed to improve. The details of his professional life – his diet, his recovery after matches – the 22-year-old Russian didn’t worry about as much. For instance, if he played at 7 p.m., he might have savoured a couple of panna cottas during lunch and thought nothing of it. Or, for breakfast, Medvedev, who trains in Cannes, France, might have helped himself to a croissant or two. When it came time to recover after a three-hour match, he acted more like a recreational player then as well. Forget the ice bath; he’d stretch and go to bed. “I thought it was going to be the best rest, to just lay on the bed and watch some TV. And in fact it’s not,” Medvedev told ATPWorldTour.com. The 6’6” Russian has learned a lot since he turned professional in 2014. But it wasn’t as if he was always ignoring the advice of his coaches or trainers – although that has happened a little, too. As a player ranked outside the Top 100 of the ATP Rankings, Medvedev didn’t necessarily have the funds to hire staff. “When you are playing Futures or [ATP] Challengers, you’re kind of scared about your future. So you don’t spend this money,” said Medvedev, who cracked the Top 100 in November 2016. But these are different times for the Russian, who reached the inaugural Next Gen ATP Finals last year in Milan, where eight of the world’s best 21-and-under players competed. He’s an ATP World Tour titlist (Sydney 2018), ranked just outside the Top 50, and he’s beaten some of the best players in tennis. Last year at Wimbledon, the Russian earned his maiden Grand Slam win against three-time Grand Slam champion Stan Wawrinka. What’s changed? Medvedev is taking his tennis more seriously. Fewer croissants, more porridge. “This year I try to work a lot on myself, physically, on all these small aspects… just everything together,” Medvedev said. Gilles Cervara, Medvedev’s coach since May 2014, remembers trying to prepare his player for a match last year. The Russian was practising footwork drills, but he was holding back. “Dani, you are 100 per cent?” Cervara remembers asking. “Yeah, I’m 100 per cent,” Medvedev said. “OK, we don’t do it. Because if this is 100 per cent, it’s useless. So I prefer that you don’t do it,” Cervara said. Medvedev picked up his level, for the moment. But that’s how it was for the coach: He was the one poking and prodding. In October, at the Rolex Shanghai Masters, the two had a serious discussion about Medvedev’s fitness, and at the end of last year, Medvedev started working with physiologist Yann Le Meur, who has worked with French Olympic teams and works with the AS Monaco Football Club. Twice a day now, the Russian fills out a report on his phone about how he’s feeling. The entire team can review the journals and decide what’s best for Medvedev in that moment. Cervara had been wanting to have that discussion earlier, but he waited to bring it up until he felt Medvedev had arrived at a similar thought. “We knew it for a long time. But we need to do it step by step. At the moment, Daniil was ready to hear that he needs to improve stuff like this,” Cervara said. Only a few months later, the work translated to on-court success. In January, the Milan semi-finalist won seven consecutive matches, qualifying and winning his first ATP World Tour title at the Sydney International. The best surface for Medvedev’s flat groundstrokes, though, might be grass, where he’s won 67 per cent of his matches (10/15), according to his FedEx ATP Win/Loss Record. On Monday, he snapped a five-match losing streak at the Libema Open in ’s-Hertogenbosch against Indian Yuki Bhambri. Last year on grass, Medvedev made the quarter-finals in ’s-Hertogenbosch and at the Fever-Tree Championships in London. He also reached the semi-finals at the Nature Valley International in Eastbourne, before upsetting Wawrinka at The Championships. By lifting the crown at Roland Garros, Rafael Nadal bid farewell to the European clay-court swing in the best way possible. And while he doesn’t often delve into his accomplishments, Nadal is aware of what he’s achieved by winning the clay-court Grand Slam for an 11th time. The only player in the Open Era to achieve three 11 triumphs in three different tournaments – Barcelona, Monte-Carlo and Roland Garros – discussed his achievements and more. 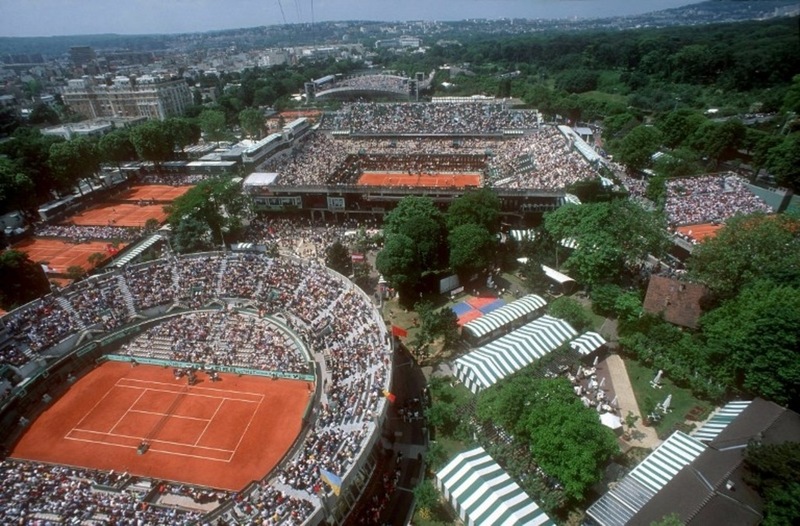 What have you carried with you from your first Roland Garros triumph? I knew the importance of winning at Roland Garros back in 2005, but there was no way I could have predicted what was going on back then would have an effect on the present. What I can tell you is how my game compares to 13 years ago. My energy levels might be down a little bit, but I have so much more knowledge that I’ve gained over the years. I’m a little bit older and a lot wiser. What are your thoughts when people say you’re an absolute beast on clay, and that you’re a myth, a legend, a hero after winning for the 11th time? My answer is that I’m an ordinary guy achieving some extraordinary things. That’s the reality. I don’t let the superlatives get to my head because I don’t have the time for that. I don’t want to sound like I’m something special but yes, it’s unique to win the same Grand Slam 11 times. Everything I do is a day-to-day process. Yes, I’m confident. I’ve won 86 out of 88 matches I played [in Paris]. Maybe, in around 75 of those matches I stepped onto the court thinking I could win but also lose. That’s one of the keys to success. So, my thoughts on all of this? I’m grateful. At the end of the day, there are people who work just as hard as me, probably even harder. How do you handle the pressure of showing up to Roland Garros, knowing you are favoured to win? Just because that’s what the headlines say doesn’t mean it’s what I believe. I stick to my own thoughts, and the thoughts of my team. I go into Roland Garros as prepared as possible and when I step on the court, my goal is to do the best that I can. These days, I also fall back on my experience. Are you surprised that Roger Federer and you have won the last six Grand Slams? Yes. I went two years without winning a Grand Slam title. He went more than twice that … We are both at an advanced age in this sport and winning the last six majors is definitely amazing. You say that there is life beyond tennis. Your fellow Big Four (Federer, Novak Djokovic, Andy Murray) are married and have children … Do you feel you have a stronger commitment to tennis compared to them? No. That’s not the case. I just lead a different life. I adapt to things on the fly and while it’s true I’ve committed my life to tennis, it’s also something that makes me happy. I can’t tell you whether I’ll start a family one day. I figured I’d be retired by this age. Before, my way of thinking was like that: to have a structured, average life with a stable family. But as the years went by, my career led me down a different path. You’ve had intense rivalries against Federer and Djokovic. Most recently, you’ve clashed at big events against Alexander Zverev and Dominic Thiem. Do you consider them your new rivals? It’s hard to consider them rivals because they are a lot younger and at different stages of their career than I am. It’s a different type of encounter. I didn’t grow up with Zverev or Thiem; we didn’t mold our careers during the same time period. It just so happens we’re crossing paths at different stages. For that reason, what I have with them isn’t a rivalry. The best rivalries happen organically; we can’t just call them rivalries for the sake of calling them rivalries. I’ve had my rivalries and I still do; they’ve been forged over the years. I battled, suffered and lasted through them. You’re surrounded by a strong, well-built team of people. Does that bring with it an extra sense of responsibility to perform? My only sense of responsibility is to do the best I possibly can. I have to train as hard as possible and be as positive as possible. Those are my responsibilities. I’ve had the same team for a while now, with the exception of (business agent) Carlos (Costa) and that happened more than a year ago. I’m more than satisfied to be around this core team. Having (former coach and uncle) Toni (Nadal) at Roland Garros was special to me. That was a change to the team, too. Having him in Paris was important, first because he’s family but also because he knows me better than anyone. The truth is, without my family, without my team or without my friends, if they had not been there during difficult times, I might have already retired. #NextGenATP Greek Stefanos Tsitsipas recorded his first tour-level grass-court match win on Tuesday at the Libema Open. The fifth seed defeated lucky loser John-Patrick Smith of Australia 3-6, 6-3, 6-4 in one hour and 35 minutes for a place in the second round. Smith replaced Dutch wild card Tallon Griekspoor, who withdrew due to a left leg injury. Currently at a career-high No. 37 in the ATP Rankings, 19-year-old Tsitsipas reached his first ATP World Tour final in April at the Barcelona Open Banc Sabadell (l. to Nadal). He will now play Tunisia’s Malek Jaziri, who overcame Australian qualifier Max Purcell 6-2, 6-3 in 58 minutes. American wild card Mackenzie McDonald, the winner of the 2016 NCAA Division I singles and doubles titles, caused a big upset in beating eighth seed Andreas Seppi of Italy 6-4, 6-2 over 77 minutes. Seppi won one of his three ATP World Tour trophies on grass courts in June 2011 at the Nature Valley International (d. Tipsarevic). McDonald will now prepare to face Australian qualifier Alex Bolt, a 4-6, 7-6(5), 6-2 victor over Vasek Pospisil of Canada. 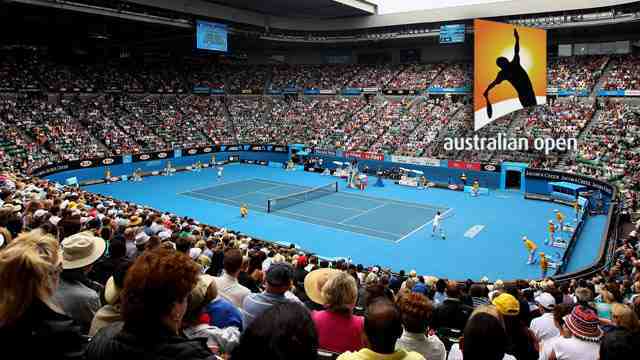 Two Australians, qualifier Bernard Tomic and Matthew Ebden, also booked their spots in the second round. Tomic, the 2011 Wimbledon quarter-finalist, moved past American lucky loser Kevin King 6-4, 6-2 in 73 minutes for his first ATP World Tour match win since October 2017 at the Rakuten Japan Open Tennis Championships (d. Sousa, l. to Schwartzman). Tomic was previously meant to face Marcos Baghdatis, who withdrew due to a left hamstring injury. He will now play sixth-seeded Dutchman Robin Haase. Ebden knocked out another American lucky loser Tim Smyczek 6-2, 6-3 in one hour, for a second-round clash against third seed Gilles Muller of Luxembourg. Smyczek took the spot of Pierre-Hugues Herbert, who pulled out due to a stomach issue. Marcelo Melo recorded the 450th victory of his career (450-272) in partnership with Lukasz Kubot as the top seeds beat Yuichi Sugita and Donald Young 6-4, 6-2 in 58 minutes. Kubot and Melo are 9-4 in tour-level doubles finals. Two other seeded teams also advanced to the quarter-finals. Third seeds Dominic Inglot and Franko Skugor knocked out Dutchmen Haase and Wesley Koolhof 6-4, 7-6(4) in 78 minutes, while fourth seed Divij Sharan and Artem Sitak overcame Spaniards David Marrero and Fernando Verdasco 6-3, 6-3 in 57 minutes. Britain’s first national tennis academies will open in Stirling and Loughborough in 2019 in a bid to boost the number of players in the top 100. 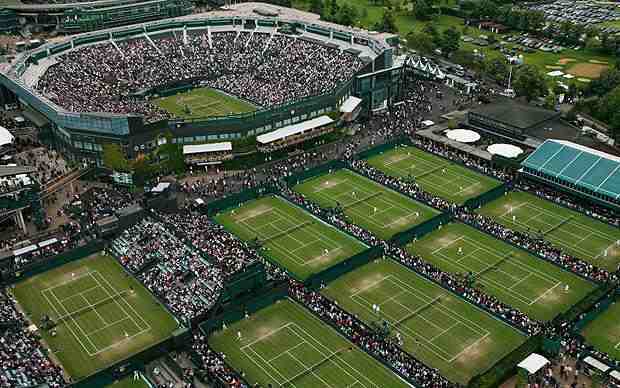 The Lawn Tennis Association (LTA) is setting up the centres as the first major step in its 10-year project to improve British tennis. Tim Henman and Sam Smith will join an LTA advisory group as part of the plan. The former British number ones, plus Andy Murray’s coach Jamie Delgado, will advise on performance and strategy. Britain has four players in the WTA and ATP top 100, with Kyle Edmund ranked highest at 18. Under the programme, up to 32 players – aged between 11 and 18 – will be selected for a full-time residential programme, which promises a mainstream education, at a cost of £5,000 per year. There will also be 11 regional development centres aimed at improving 10-14-year-olds. “The new performance strategy has been designed to help create future British tennis champions, who we hope will continue to inspire others to play, watch and enjoy the sport for generations to come,” said LTA chief executive Scott Lloyd. The new national academies will be aimed primarily at those between the ages of 13 and 18, but could accommodate children as young as 11 if they meet the criteria. 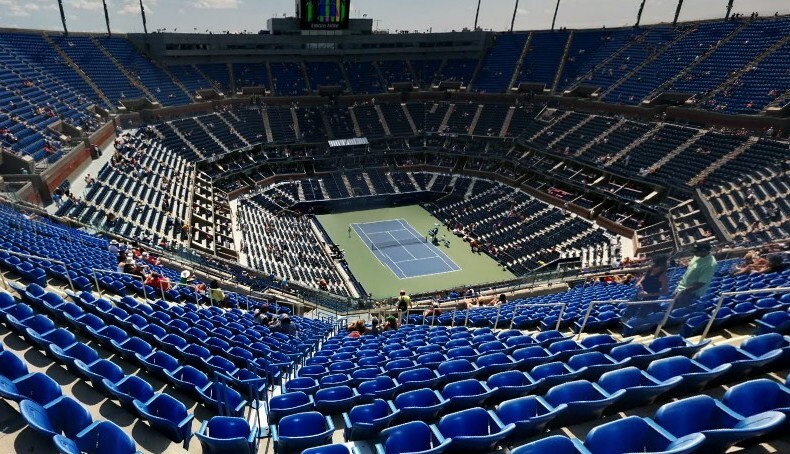 There will be regional and local centres as well, but the LTA will be investing in fewer venues and individuals as part of its new performance strategy. There will be a maximum of 32 players across the two academies, so the talent identification programme will be crucial. Costs will, however, be much reduced for the parents of those who do make the grade. The charge will be just £5,000 per year, which includes the expense of weeks on the road at tournaments. The LTA admits its development programme has suffered from too much chopping and changing in recent years, and the volume of potential top-100 players in the pipeline is not nearly as great as it should be. The LTA’s ambition, though, is that in 10 years’ time Britain will be one of the most respected nations in the world for player development. Coverage: Watch live on BBC TV, BBC iPlayer, BBC Red Button, Connected TVs, the BBC Sport website and app from 2-15 July. British number two Heather Watson moved into the second round of the Nottingham Open with a straight-set win against American Danielle Lao. Watson, 26, saw off the world number 252 6-1 6-3. Watson, the world number 91, began her grass-court campaign with a surprise defeat at the Surbiton Trophy last week. British number one Johanna Konta is in action later on Tuesday, when she faces Japan’s Kurumi Nara.